This ambitious program will ensure that the Library continues to evolve to meet the changing needs of our vibrant, diverse community, both in Melbourne and in regional Victoria, today and into the future. The design is being led by an international, award-winning team combining the talents of Australasian design firm Architectus with Scandinavia's Schmidt Hammer Lassen Architects, and is due for completion in late spring 2019. Vision 2020 is an $88.1 million project funded by $60.4 million from the Victorian Government, with the remainder to be raised through philanthropic support. Create 40% additional public space to accommodate our ever-growing number of visitors, researchers and students. Redevelop existing public spaces, making them more accessible, adaptable, modern and innovative. 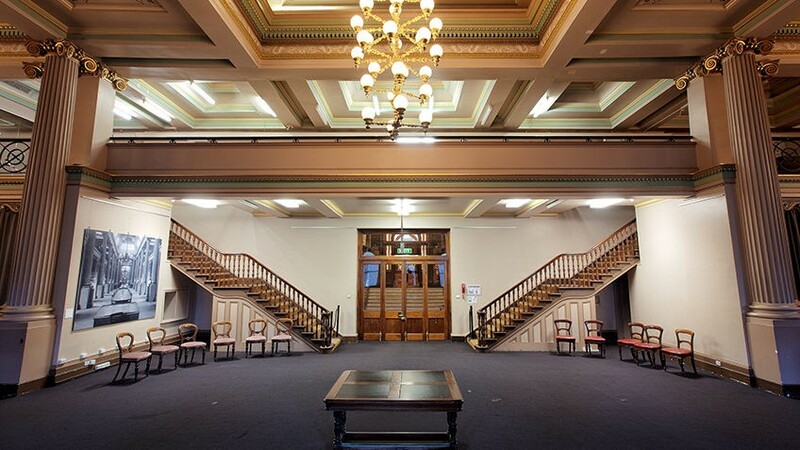 Refurbish The Ian Potter Queen's Hall, returning it to public use as a reading room and event space. Introduce fresh services and experiences to breathe new life into our heritage assets and extraordinary collections. Create engaging, purpose-built spaces for children, families and teenagers to nurture creative learning, literacy and play. Create a centre for digital living, promoting digital literacy and providing technology-enabled spaces for entrepreneurship and innovation to support and stimulate Victoria's creative economy. Strengthen the Library's position as the hub of Victoria's learning community, connecting audiences and libraries across the state via the e-Town Hall. Increase connection with regional Victorians through the digital delivery of programs. Increase contribution to Victoria's education economy by supporting the state's growing number of international students with improved access and spaces. Increase contribution to Victoria's tourism economy through the restoration and enhancement of heritage and exhibition spaces. Reinforce Melbourne's position as a UNESCO City of Literature and its reputation as a world-class centre for culture, arts and events.